Focusing on how to improve business efficiency can help you grow and maximize your profits, as well as save you time and money. -American Express. 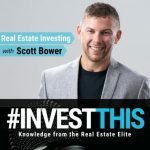 Don Costa, hosts the popular podcast Flip Talk and he is the Founder of Strategic REI, which is a reputable house buying company in 7 markets in California. 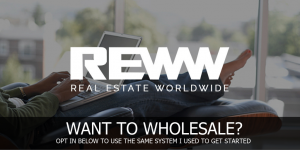 Don had a very profitable real estate business that he started in 2003, but like many people in real estate investment, 2008 was a difficult year for Don, as he lost everything and had to start over. His failures were his most significant educators, and he leaned on the hard lessons of the past, to make a bright future for himself and his family. Today, with a team of 16, and continued expansion into other markets, Don has rebuilt his life and business better than it ever was. On today’s show, Don shares his expertise in business efficiencies. He goes into detail about how to manage and incentivize lead managers, as well as how to restructure a business, for, you guessed it, better efficiency. 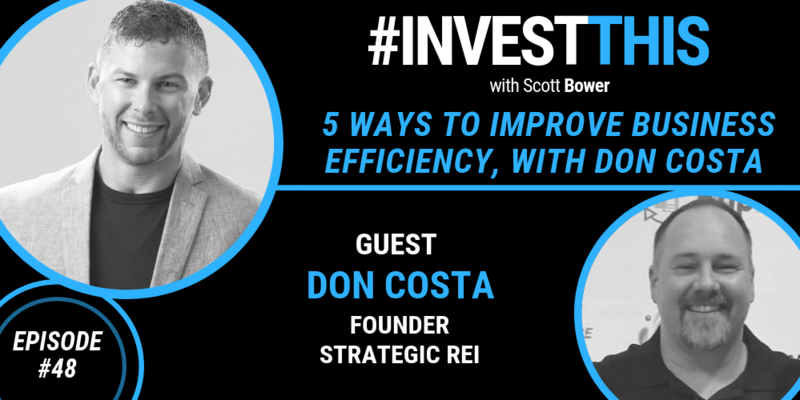 Besides all of his proficiency insights, Don shares the secret to his success, his most profitable marketing channel and how not to make a mistake most entrepreneurs make in business. Also, we talk about the trends in the market today.